Neurology Vocational Services Unit (NVSU) is housed within Harborview Medical Center and has been providing quality job applicants to companies in the Northwest since 1976. We truly believe that a successful job match benefits both the hiring company and the employee. To that end, we work hard to find and maintain successful job matches. NVSU has been a long time local leader in matching its clients to the Puget Sound Business community’s employment needs. NVSU has been highly successful in this endeavor. Client populations served include individuals with epilepsy, multiple sclerosis, brain injury, stroke or other neurological conditions. Since our inception more than thirty years ago, we have assisted more than 2,500 people find and keep meaningful jobs. Neurology Vocational Services Unit mission is to provide a full range of employment services for individuals living with neurological conditions, assisting them to lead satisfying and productive lives. In addition, through research, teaching and distribution of information, the unit acts as a national resource in the field of neurological vocational rehabilitation. 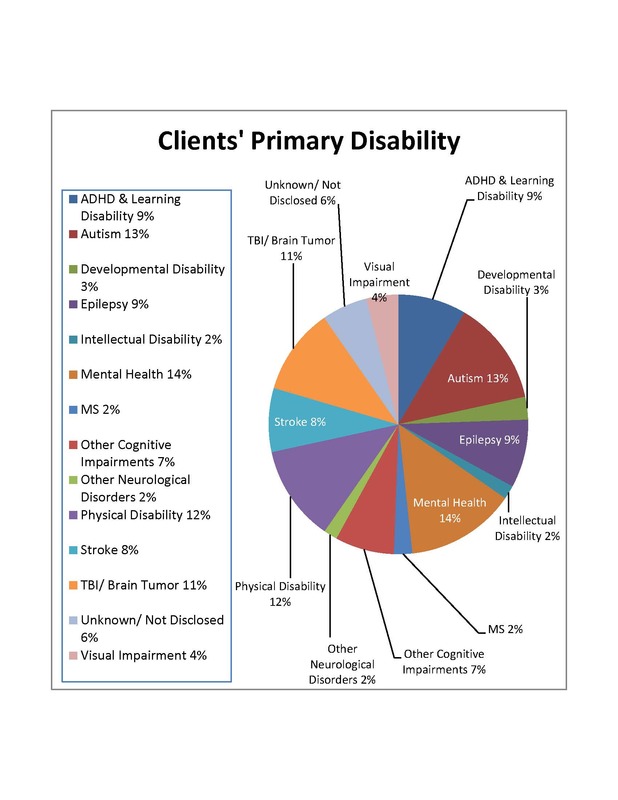 Neurology Vocational Services Unit (NVSU) has been a long time local leader in matching its clients to the Puget Sound Business community’s employment needs. We serve individuals with neurological conditions; including but not limited to, traumatic brain injuries, stroke, epilepsy, multiple sclerosis, autism spectrum disorders, ADHD, learning disabilities. NVSU has been highly successful in this endeavor. Since our history inception more than thirty years ago, we have helped hundreds ofpeople find and keep meaningful jobs. 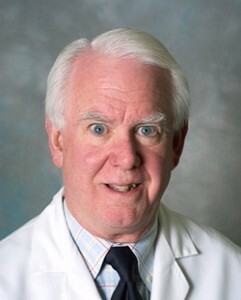 Robert Fraser, PhD, Director of NVSU is a professor in the University of Washington’s Department of Rehabilitation Medicine, joint with the Departments of Neurological Surgery and Neurology and consultant with Associates in Rehabilitation and Neuropsychology. He is an active counseling and rehabilitation psychologist, a certified rehabilitation counselor and a certified life care planner who directs Neurological Vocational Services within Rehabilitation Medicine. Within neurological rehabilitation, he has specialized in epilepsy, brain injury, and multiple sclerosis. Barbara Beach, M.Ed, CRC, Department Manager has extensive years of experience working with TBI, chronic pain, spinal cord injury and other physical disabilities in vocational 2003rehabilitation inpatient and outpatient settings. Trained as a Rehabilitation Counselor and having worked in Administration in numerous capacities, today, Barbara functions as Department Manager of NVSU in both administrative and clinical capacities, working with a smaller caseload of clients, providing Comprehensive Vocational Evaluations, Community Based Assessments and Job Placement services. In addition to NVSU, she is also the vocational counselor in Comprehensive Outpatient Rehabilitation Program and inpatient unit within Harborview Medical Center. Dora Fung, M.A., CRC, Rehabilitation Counselor has experience providing vocational and therapeutic services to children and adults with disabilities. For the past eight years, she worked as a job coach, employment specialist and a listening therapist for individuals with neurological disorders and developmental delays. Dora obtained her Bachelor’s degrees in Speech & Hearing Sciences and Sociology from University of Washington and has completed her Master’s degree in Rehabilitation Counseling. She provides Job Placement services, Community Based Assessments, Comprehensive Vocational Evaluations and specializes in Job Retention services. In addition to NVSU, she is also the vocational counselor in Comprehensive Outpatient Rehabilitation Program and inpatient unit within Harborview Medical Center. Erica K. Johnson, Ph.D., FAES is a rehabilitation psychologist and a certified rehabilitation counselor, as well as a Fellow of the American Epilepsy Society. Dr. Johnson is the Co-Investigator with Dr. Fraser on PACES in Epilepsy, a CDC-funded epilepsy self-management treatment program for adults. In addition to her work on PACES, Dr. Johnson is the incoming Principal Investigator for Project UPLIFT, a program to prevent and treat depression in adults with epilepsy. Outside of her research program, Dr. Johnson is in private practice in Lynnwood, WA, where she conducts psychosocial and neuropsychological assessments and therapy with individuals with various disabilities, such as traumatic brain injury, blindness and low vision, chronic pain, and post-traumatic stress. Roy Kristiansen, Office Assistant came to NVSU from an extensive background in classical music and theater to include 13 years with Seattle Opera as a member of the Resident Chorus, and 6 years as its assistant chorus master. This was followed by 3 years as music director and conductor of the Gilbert & Sullivan operas with the New Savoy Opera in Wallingford. Steven Lashley, MHA, Research Associate began in 2008 as an Intern and worked as an employment specialist for several years for NVSU. Steven has a Bachelor’s degree in Marketing and Human Resource Management from the University of Washington and completed his Masters of Health Administration from the University of Washington. Steven is very experienced in the area of Epilepsy and is involved with our NVSU epilepsy research groups. Louie Lopez, NVSU Job Developer/ Employment Training Specialist has worked within Vocational Services for over 26 yrs with adults with developmental disabilities and neurological disorders. He is integrally involved in the Latino Business Community and is Bilingual in Spanish and English. Louie has been with NVSU since 2005 and continues to find and secure positions well suited for clients with exceptional devotion to his job and his goal to find clients the right Job Placement. Sydney McPhearson, MA, CRC, Rehabilitation Counselor has experience as a clinical research coordinator for a Parkinson’s Genetic Research Group with the University of Washington and VA Puget Sound Health Care System. Sydney obtained her Bachelor’s Degree in Cognitive Science with a specialization in neuroscience and clinical aspects from the University of California San Diego. Sydney completed her Master’s Degree in Rehabilitation Counseling at Western Washington University in August of 2017. At NVSU she provides client services related to Intake Interviews, Job Placement, Community Based Assessments, Comprehensive Vocational Evaluations and Job Retention. Eleanor Pawley, BFA, Community Liaison has been with NVSU since 2016. Coming from a background in conference planning, event management and theatre production, Eleanor plays a critical role in development, fundraising events, runs the office and is Bilingual in English and Spanish. Eleanor has a Bachelor of Fine Arts degree in Design/ Technology from the Conservatory of Theatre Arts and Film, Purchase, NY. David Strand, Ph.D., CRC, Rehabilitation Counselor obtained his doctorate in Rehabilitation Psychology from the University of Wisconsin-Madison and participated in a pre-doctoral internship in Neuropsychology at the Center for Neurological and Neurodevelopmental Health. He is a licensed psychologist in the state of Washington and focuses on providing vocational rehabilitation services for individuals with neurological diagnoses. At NVSU, he is active in providing clinical services for clients, to include Counseling, Neuropsychological Assessment, Comprehensive Vocational Evaluations, Community Based Assessments, Job Placement, and Job Retention services. Katie French, Intern is a junior in the Pre-Med Biology program at the University of San Diego. Katie has worked at NVSU since the summer of 2017. Katie plans to attend Medical School focusing primarily on Neurology. Vy Huynh, Intern, is a senior in the Biochemistry and Neuroscience departments at the University of Washington and began working at NVSU in October, 2018. She plans to pursue a career in medicine and hopes to continue working in fields related to neurology. Anna Lee, Intern is a Sophomore studying Neuroscience and Dance at University of Washington. She started working at NVSU in September, 2018 and helps the team out with a variety of tasks, such as CBA planning and job placement. She plans to attend medical school and work in Oncology, but says that her specialty may change in the future. During her free time, Anna dances and volunteers at Swedish Medical Center on the Oncology and Neuro Epilepsy floors. Tessa Warheit-Niemi, Intern, is a junior in the Neurobiology Major at the University of Washington. Tessa started working at NVSU in April, 2018. Tessa wants to continue her education in psychology/neurobiology and obtain a degree to allow her practice counseling and be involved in research studies related to neurological disabilities and mental health disorders. Director, Product Training & Publications, WatchGuard Technologies, Inc.
We would like to follow-up with your recent services received from NVSU. Below are links to take our satisfaction surveys. The survey should only take about 5 minutes. These surveys are used to obtain satisfaction ratings in order to improve our services and to generate our annual report. The results are published on our lobby bulletin board next January and in our Community Impact Section. We greatly appreciate your willingness to provide feedback, as your opinion is very important to us.